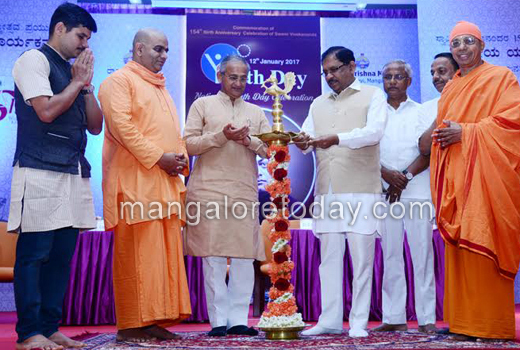 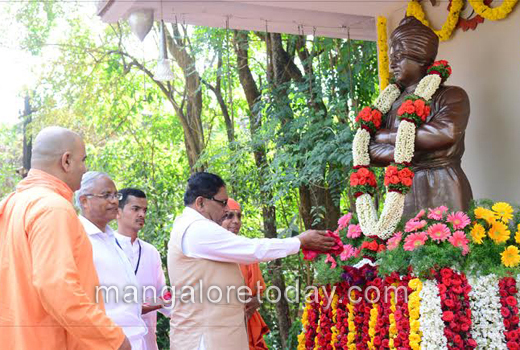 Mangaluru, Jan 12, 2017: A programme ’Arpana’ organised by the Ramakrishna Mutt here on January 12, Thursday to mark Youth Day on the occasion of the 154th birth anniversary of Swami Vivekananda was inaugurated by State Home Minister G Parameshwar. 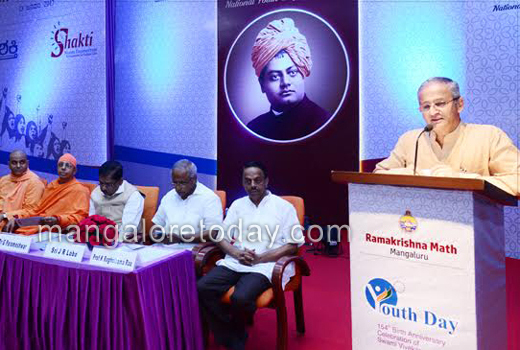 Speaking on the occasion, the Minister said the ideals and thoughts of Swami Vivekananda should be an inspiration to the youth. 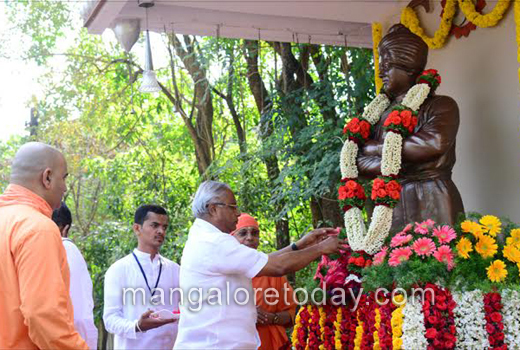 Swami Vivekananda had a strong belief that the youth were capable of building a strong nation, he said. 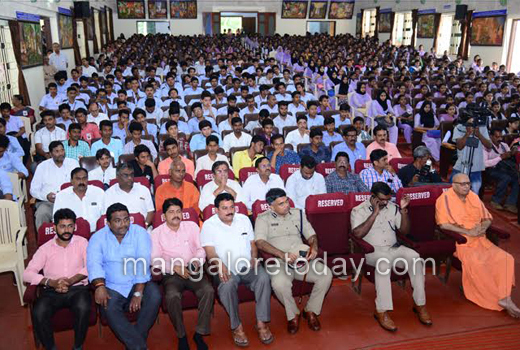 Expressing his concern over the rising drug abuse among youth, Parameshwar urged the youth to shun drugs which act like a poison and weakens an individual in every way. 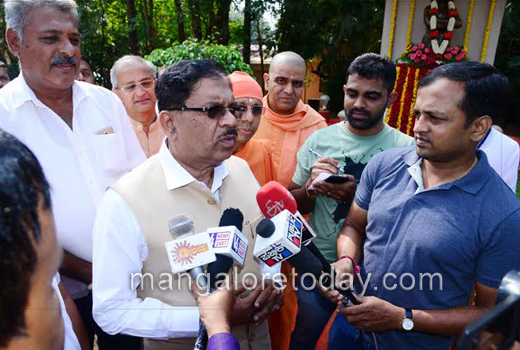 The Home Minister also referred to the Bengaluru mass molestation case on New Year eve and said the Department was doing its level best to avert such incidents. 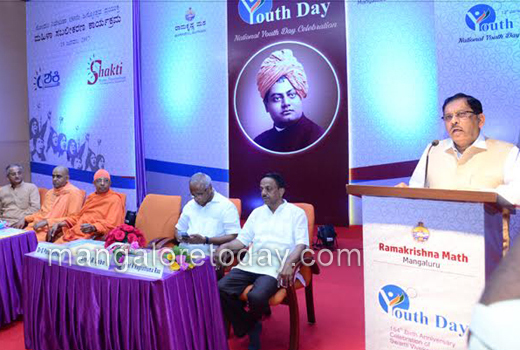 Swami Jithakamanandaji, President of Ramakrishna Mutt, Mangaluru stressed the need for youth to be mentally strong. 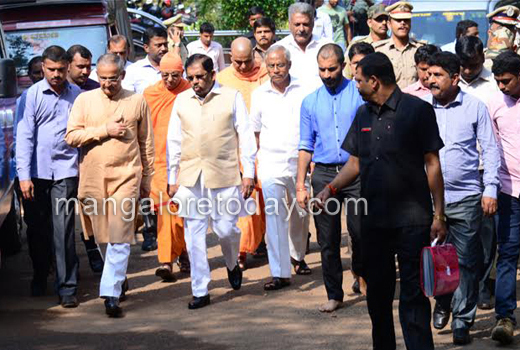 JR Lobo, MLA, Capt. 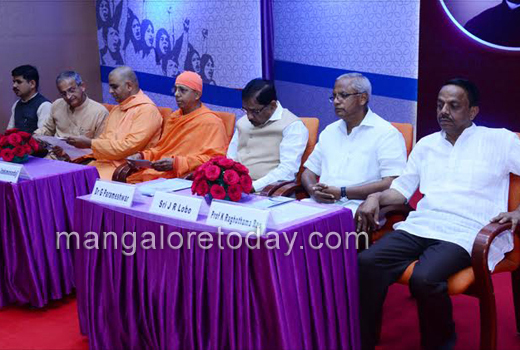 Ganesh Karnik, MLC and many others graced the occasion.